On Tuesday, I spoke to two marketing representatives from General Mills who were representing the new gluten-free Cheerios. I wish I got off the phone with Cheerios and General Mills with great news, but I was really frustrated when I hung up the phone. I went into this call really prepared. I asked my readers and Facebook fans to share their concerns and comments with me. I watched all of their videos and read the FAQ pages to educate myself about the gluten-free Cheerio process. I read all of the scientific reports by Tricia Thompson at Gluten-Free Watchdog. I read blogs, Facebook, and Tweets for people both for and against the new Cheerios. I made sure what I was reading was recent and not driven by the blogger promotional trip to General Mills in the spring. I was prepared. Yet, I felt disappointed with the call. I got off the call feeling like the celiac community isn't safe eating these new Cheerios despite the years of research and development. I really do not think General Mills is quite there yet with a truly gluten-free product and that complaints of people getting sick need to be taken very seriously. Before reading the rest of my post, I do encourage you to watch the Cheerios videos and read the FAQ page to familiarize yourself with the process. 1. General Mills does not use gluten-free oats to produce their Cheerios. General Mills uses oats that could be grown in the same fields as wheat, barley, and rye. GM told me that there aren't enough gluten-free oats in the country to fulfill their demand for Cheerios production. They are committed to using "cleaner" oats that have less foreign pieces of gluten grains but there is no immediate plan to switch to gluten-free oats. GM is working to improve "cleanliness" of the oats but this didn't seem safe enough to me. Broken pieces of wheat/rye/barley, residue, dust, etc. are all big concerns to me. 2. The production process is 100% NOT gluten-free from farm to finish. Even though the Cheerios gluten-free page outlines the production process, I had questions since the wording in the FAQ is slightly different from the video. The video mentions a "gluten-free production line" while the FAQ says "oats are processed in a dedicated gluten-free facility." I asked the GM team to break this down for me to explain the difference along the way. Step 1: Oats are transported from the farm to the sorting facility. Since these oats could contain fragments of wheat, rye, and barley from the beginning, this facility is NOT gluten-free. Gluten enters the building. Period. GM then sorts the grains mechanically (see video) and the final oats are considered gluten-free. Again, this is NOT a dedicated gluten-free facility yet the final product is deemed to be gluten-free. This seems confusing to me. Step 2: Mechanically-sorted oats are transported to the mill where the oat flour is produced. These oats are either transported via dedicated gluten-free trucks or on a conveyer belt to the nearby facility. This step seemed questionable to me. Does a conveyer belt from a non-dedicated facility guarantee a gluten-free product? Yes says Cheerios. Step 3: Oat flours is transported to the Cheerios production facility. The oat flour is transported to the facilities that actually make the Cheerios via dedicated gluten-free rail cars. If more oats need to be transported than available rail cars, the dedicated gluten-free trucks from step 2 are used. Ok, fair enough. Step 4: Cheerios are produced using the processed oat flour. OK, this is the part I had a real problem with in the production process. Cheerios are produced on gluten-free production lines BUT the facilities could be shared. All gluten-free production is segregated from general production, but these facilities are NOT 100% gluten-free. Hmmm... so the facility is gluten-free or not? 3. Gluten testing is done internally by Medallion Labs. General Mills currently has NO plans on publicly releasing gluten testing results from their internal testing. GM did say that "other labs" have done testing too, but it was unclear to me which labs and which tests were actually being used. For more details about the test methods, visit Gluten-Free Watchdog for much more in-depth information. In my opinion, if Cheerios has nothing to hide they should make their test results public. Transparency is key in the celiac community. 4. 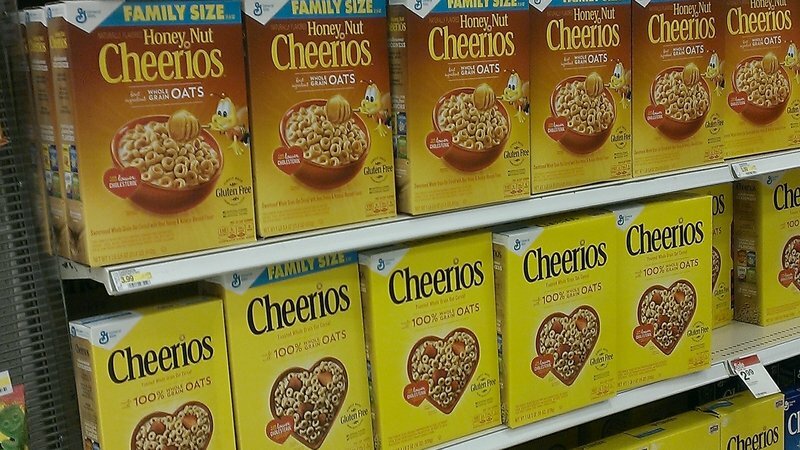 People are getting sick from eating the gluten-free Cheerios. General Mills acknowledged they have heard about people getting sick from the new Cheerios. They also were aware of the petition with signatures more than 1,600 names of people supporting change to the Cheerios production process. The Cheerios reps did emphasize that General Mills always takes consumer complaints very seriously. This is where I felt GM got the most defensive and had some answers that sounded more like excuses to me. "People might be reacting to the high fiber content of Cheerios." "People aren't used to eating oats." For a long time, celiacs were told NOT to eat oats. GM seemed to think introducing a new grain into the diet could cause an initial reaction. "Talk to your doctor if you think you are having a reaction to Cheerios" or "Speak to your doctor first before eating Cheerios." If you have medical concerns about your products, why call them gluten-free? As expected, Cheerios never came out and admitted that their product might actually be making people sick. They did say they will investigate all of these claims seriously if people contact General Mills directly. 5. Cheerios in Canada are NOT gluten-free. This was a great question from Facebook and Twitter. General Mills thought this was a great question too! Health Canada updated their statement on oats in Canada in May. You can read their entire report here. General Mills said they are working directly with Health Canada to figure out how to produce gluten-free Cheerios for Canada. My question is why gluten-free Cheerios in the US aren't safe enough to sell in Canada? I understand our FDA standards aren't identical to Health Canada but are the US Cheerios not allowed to be sold by the regulations in Canada. I need to research this more. 1. Contact General Mills by website, email, phone, fax, or letter. I encourage you calling them directly. Whichever method you use, the box information is critical to your complaint. Do not throw away your box! Keep everything and read them everything they ask for during your complaint. I want to hear from you too! I now have a direct line of communication to General Mills and I want to be your voice. Leave your comments below so I can share them with the Cheerios team. Thank you for this, Erin. Your concerns are the same ones I have. I hope this clears it up for everyone. It's interesting that their diversionary comments about why people are getting sick seem to be the same ones I've seen on social media and blog posts discounting those reports of our sick gf community. This is really interesting and clear account of the production process. As you know in the UK any product labelled as gluten free must contain less than 20 ppm gluten. I'm not aware of any product here containing oats which doesn't contain certified gluten free oats. I appreciate the UK is a smaller market than the U.S. but I think it's a poor excuse from Cheerios that they can't source enough gluten free oats. 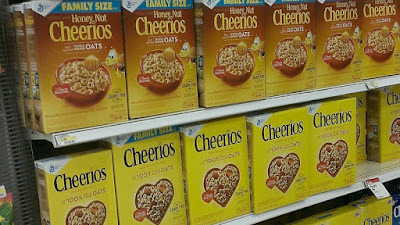 I think if Cheerios wanted to produce gluten free Cheerios and if the U.S. Had similar regulations controlling the levels of gluten in products as we have here, they would have been forced to cultivate oats within a gluten free environment to ensure the product meets the gluten free loom abelling limit. Personally I never touch anything which doesn't have certified gluten free oats in it - they are very readily available here. Very sorry to hear people are getting sick from eating these Cheerios. Thank you SO MUCH for going to all this effort. I SO appreciate it. Based on the information you have presented (more than from any other source I have received) I know I won't be able to try these. I was waffling back and forth, but this seals the deal for me. Thanks so much for helping to keep those of us who are super, super sensitive safe!! I love your blogs and insights! In point #5 in this post, you ask about why cheerios are not gluten-free in Canada - that is because our labeling laws do not allow any products containing oats to be labeled gluten-free unless the oats used are pure and uncontaminated. In order for cheerios to be labeled gluten-free in Canada, they'd need to switch to using pure oats (only). Those laws were made to protect celiacs here in Canada several years ago. Wishing you and your community wellness!! I was diagnosed with Celiac Disease 8 wks. ago, I am still learning what to look for on food labels that isn't safe for me to eat, I saw the Cheerios commercial a couple weeks ago and thought wow, I can have Cheerios and bought a box that week when I went grocery shopping, next morning I had a bowl of Cheerios and a hour later I had pain, then later in the day I had pain again, and then I got thinking why am I having pain when I know I ate gluten free all day, then I realized the only thing I did different was had a bowl of Cheerios. I told my husband that the Cheerios are his to eat. Cheerios are not safe for me. I don't know what the "new" g-f Cheerios are, unless GM is now saying they're making their traditional plain Cheerios g-fx however, I DO know that in the past 2-3 years, I'd been happily buying "Gluten-Free" Vanilla Cheerios and "Gluten-Free" Honey Nut Cheerios, and I can say without a doubt that I have been glutened by them every time -- even after a waiting period and trying them again. I get ataxia, stomach and bowel symptoms, joint pain, feelings of apathy, extreme fatigue, and skin blisters (dermatitis herpetiformis) from eating gluten. GM's gluten-free cereals are NOT gluten-free! Jean, the new gluten-free Cheerios just came out within the past two months. If you have been eating Cheerios (the General Mills brand) for the past 2-3 years, there is no way you were eating gluten-free cereal. They were never even labeled gluten-free before this year. Thank you for this Erin! I am following this saga with interest; however at this point I have only mild concern as GM has always done a top notch job both in production, new product availability and labeling for those of us with Celiac and food allergies. I eat a whole foods diet and have many food allergies and intolerances in addition to Celiac and almost never eat prepared foods because of it. I know the stress and frustration of reading the labels and questioning whetehr something is truly GF or allergen free. In my early years of diagnosis, I was not able to eat oats as there were NO Certified GF oats available. When I started buying Bob's Red Mill GF oats, I got sick every single time. Celiac symptom sick. I stopped eating them and eventually took myself to an allergist and low and behold, I had a level 2 food allergy to oats. While my food allergy level was low on the rating scale (for what that is worth) I was getting really sick-major headaches, joint pain, fatigue, loose stools (putting it mildly), bloating etc. I am wondering how many people who are eating the cheerios and getting sick have already been eating GF oats. I have a feeling some of the complaints are due to an intolerance to oats, placebo effect (since there has been so much negative press on the web about said cheerios), fiber content and perhaps some are responding to gluten levels below the FDA guidelines. For the rest, we just need to wait and see. As always, it WILL be interesting. Hi, got this address off your site, wish I had read this much earlier before it cost me so much in my well being & financially. Thanks keep up the good work you do. Need your help to protect us. Wrote this letter to General Mills. Please do something for the unsuspecting gf people with a legitimate disease caused by ingestion of gluten from wheat & wheat products! Was so thrilled that you had a gf product. (Cheerios)I ate it everyday & was sick for 3 weeks. Went to emergency room, the headache & cramping was so extreme. Not to mention being held captive by my bathroom. I honestly thought it was a new medication I was taking. It has been since 2008 since I felt like that. Shame on you for trying to fool the public. I threw out my four boxes of cheerios. I'm still taking the med & after 5 days I am finally feeling better. It is so sad that you don't care about the people you are targeting. I never eat out & don't keep any wheat or flour products in my house since being diagnosed with Celiac Spru in 2008 by a gastroenterologist, tests, biopsy & the whole gambit. It changed my whole life. Had to close my very successful restaurant because of the flour & all the scratch baking we were producing. I hope you get it together for the sake of a part if your consumers. Celiac Disease is not a game? Hey Erin,Nikki here. I've been following the Cheerios fiasco from India. One of the prime reasons being, there are a multitude of organizations in India, that are importing gluten-free products from all over the world, including USA, and selling them online to the people of India. I am equally angry with General Mills and the current state of affairs. I stopped eating processed food about 2 years ago because I do not trust any food that is mass-produced anymore. Without a doubt General Mills is at fault. But, so is the US FDA. The Food industry serving or catering to the needs of Celiac Community and those with food allergies and intolerance's obviously fails to appreciate the gravity of the situation. The requirement for gluten-free, or for that matter peanut-free, diary-free, soy-free (etc) food products is nothing short of medical treatment for those with celiac disease and other similar ailments. If the US FDA can hold the Pharmaceutical manufacturers to a certain standard, go for regular inspection of their manufacturing facilities, audit them etc why not conduct similar tests and inspection of the Food manufacturing facilities. Why not put in equal amounts of effort to ensure the safety of the food? After all, isn't food one of the basic necessities of life? Hey Erin,Nikki here [twitter handle @celiacdesi]. I've been following the Cheerios fiasco from India. One of the prime reasons being, there are a multitude of organizations in India, that are importing gluten-free products from all over the world, including USA, and selling them online to the people of India.